Don't blame it on Dr. Mehmet Oz of Oprah fame, as the FDA certainly did. Aware of shoddy FDA standards for arsenic levels in most beverages but water, Dr. Oz paid for testing of apple juice by an independent toxicology laboratory. And there it was: proof of high levels of arsenic, a deadly toxin, in popular, store-bought apple juices, the juice drink of choice of U.S. moms for their babies. Nope. With an intimidating letter to Dr. Oz, questioning his science and threatening to expose Dr. Oz as "irresponsible and misleading" if he aired the results on his daytime TV show. Dr. Oz, Columbia University professor of surgery since 2001, aired the segment last fall. Angered, the FDA published its letter dated September 9, 2011. Its interest piqued by the kerfluffle, Consumer Reports conducted its own in-depth testing of 88 samples of top brands of apple and grape juices purchased in grocery stores and big-box retailers in Connecticut, New York, and New Jersey.
" Roughly 10 percent of our juice samples, from five brands, had total arsenic levels that exceeded federal drinking-water standards. Most of that arsenic was inorganic arsenic, a known carcinogen." " One in four samples had lead levels higher than the FDA's bottled-water limit of 5 ppb. As with arsenic, no federal limit exists for lead in juice." " Apple and grape juice constitute a significant source of dietary exposure to arsenic, according to our analysis of federal health data from 2003 through 2008." " Mounting scientific evidence suggests that chronic exposure to arsenic and lead even at levels below water standards can result in serious health problems." Three briefs are in order regarding arsenic in apple and grape juices. First, the FDA uses a contamination threshold of 23 parts-per-billion ("PPB") of arsenic in apple juice. However, for public and bottled water, the EPA sets a limit of 10 PPB. Why the difference? Because the FDA has decided that you should and will drink less apple juice than water! Both beverages are equally harmful to health when laced with arsenic. And with higher permitted fruit juice contamination levels, manufacturers, of course, aren't required to spend more to sell purer, healthier products. The FDA has given a big, fat break to fruit juice manufacturers! In fact, the FDA rarely enforces any contamination limits for apple juices, per AP, which notes, "The agency has the authority to seize apple juice that exceeds those levels, though it has never done so." Second, there are three main sources of arsenic contamination in fruit juices, not merely two as popularly believed. From pesticide residue in orchard and crop soil. Consumer Reports explains, "Lead-arsenate insecticides were widely used in cotton fields, orchards, and vineyards until their use was banned in the 1980s. But residues in the soil can still contaminate crops." From coal-fired power plants and smelters releasing arsenic into the air. Here's the shocker for most consumers: from apple juice concentrates made in China, where arsenic contamination is largely unchecked. 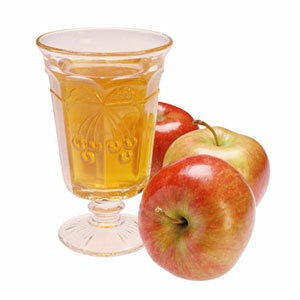 "To make apple juice, manufacturers often blend water with apple-juice concentrate from multiple sources. For the past decade, most concentrate has come from China. Concerns have been raised about the possible continuing use of arsenical pesticides there, and several Chinese provinces that are primary apple-growing regions are known to have high arsenic concentrations in groundwater," cautions Consumer Reports. Third, the FDA relies heavily on the distinction between organic and inorganic arsenic. Briefly, organic arsenic is naturally occurring, and per the FDA, harmlessly washes out of our systems. No one disagrees that, "In general, inorganic arsenic is more toxic than organic arsenic," as one medical site states. Consumer Reports points out, however, , "Use of organic arsenic in agricultural products has also caused concern. For instance, the EPA in 2006 took steps to stop the use of herbicides containing organic arsenic because of their potential to turn into inorganic arsenic in soil and contaminate drinking water." Most arsenic found in apple and grape juices test were inorganic, concluded Consumer Reports based on extensive, independent medical and scientific data. Inorganic arsenic is deadly to human and animal health.
" A fatal poisoning would require a single dose of inorganic arsenic about the weight of a postage stamp. But chronic toxicity can result from long-term exposure to much lower levels..." pens Consumer Reports. The EPA lists exposure dangers to inorganic arsenic, which it dubs "a known human carcinogen, including skin discoloration and lesions; nausea, diarrhea, and abdominal pain; cancer of the skin, bladder, liver, and lung (via ingestion); and irritation of mucous membranes and lung cancer (via inhalation). The medical community believes that arsenic exposure also increases risks of cardiovascular disease, immunodeficiencies and type 2 diabetes. One blogger wonders, "... there is a growing body of evidence that even very small amounts of arsenic can wreak havoc on young children and babies in the womb. I can’t help but wonder about the implications of this when it comes to the disturbing increases in conditions like autism in young children. The role of arsenic in all this is a question that at least deserves to be asked." 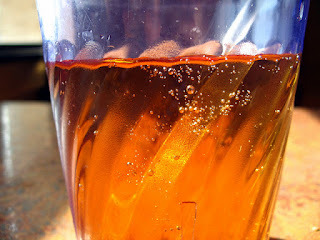 First, reduce drinking store-bought apple juice, both for your health and in protest. Buy organic apples, and make your own, or drink more water and organic milk. Second, support a new bill in Congress requiring the FDA to establish standards for arsenic and lead in fruit juices. Contact your elected representatives now, and insist that Congress pass a bill forcing the FDA to set and enforce safe, healthy standards for fruit juices for our families. Third, complain loudly and often to the FDA. using their consumer complaint reporting site. Also, the FDA's intimidating letter to Dr. Oz came from Don Zink, Senior Science Advisor at Public Health Service; FDA; College Park, Maryland. 20740. Try Dr. Zink. Fourth, tell family, friends and neighbors. Tell Facebook friends, too. Spread the word far and wide. Low-level poison in fruit juices is not a partisan matter. Blame the FDA for ignoring or hiding the truth. Don't blame Dr. Oz or Consumer Reports for bringing the truth to public light. After all, as Urvashi Ranga of Consumer Reports said, "We look at apple and grape juice as a poster child for arsenic in the food supply in general. Low-level exposure of carcinogen is something we should be concerned about." I will definitely investigate so-called natural fruit drinks. So much of this labeling is designed to mislead us into thinking these sugar-loaded, chemical-laden drinks are health foods. Thanks for your thoughtful comment!